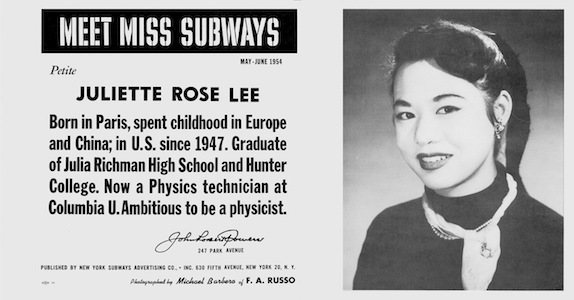 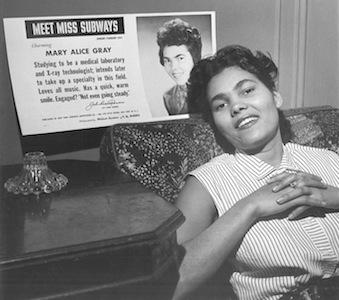 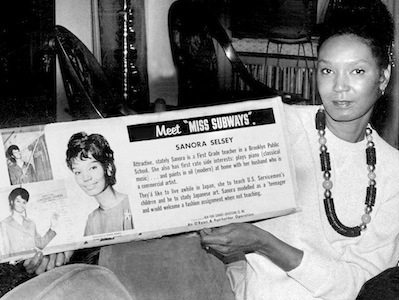 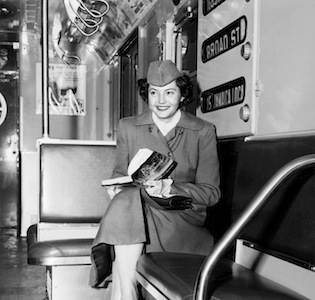 Thelma Porter was the first black Miss Subways, in 1948. 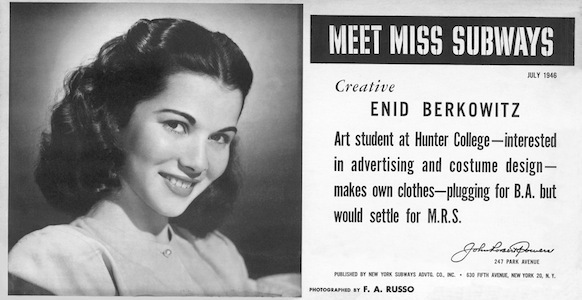 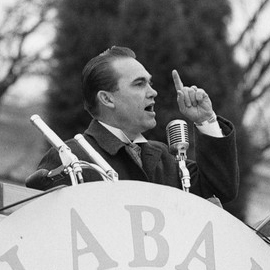 Most beauty pageants promote the fantasy of the ideal woman. 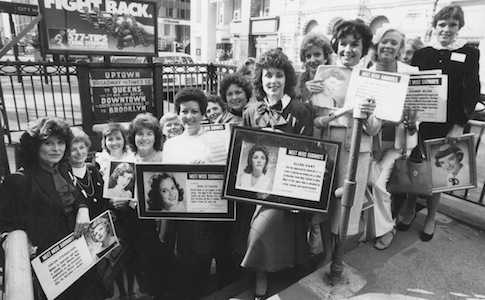 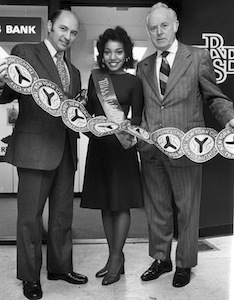 But for 35 years, one contest in New York City celebrated the everyday working girl. 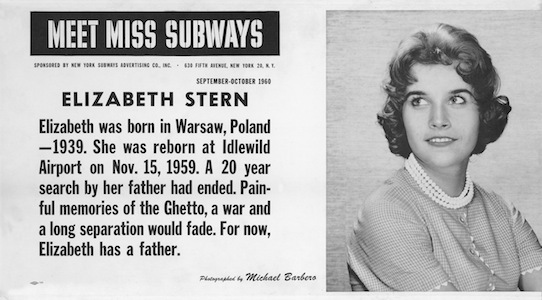 See more photos at NPR’s Picture Show blog. 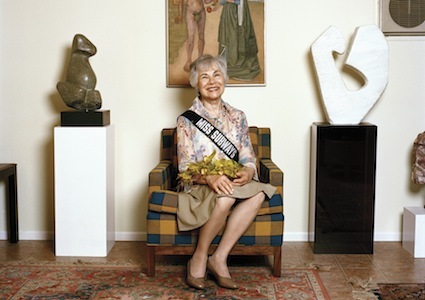 Meet Miss Subways, a book by photographer Fiona Gardner and writer Amy Zimmer, is available from Seapoint Books. 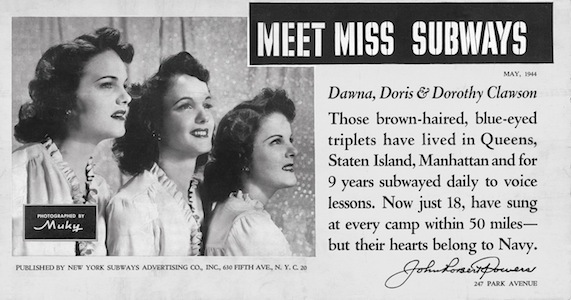 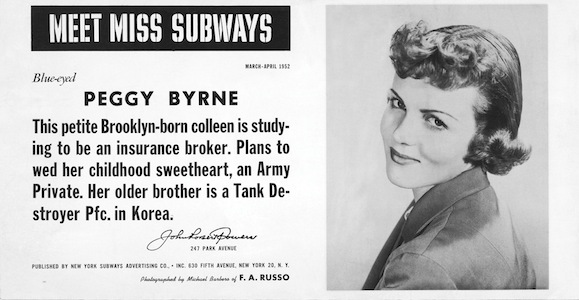 For more Meet Miss Subways news, join their Facebook fan page.